We've just posted a new FREE embroidery design to the Chatterbox Quilts website. Snowflake Brrr! 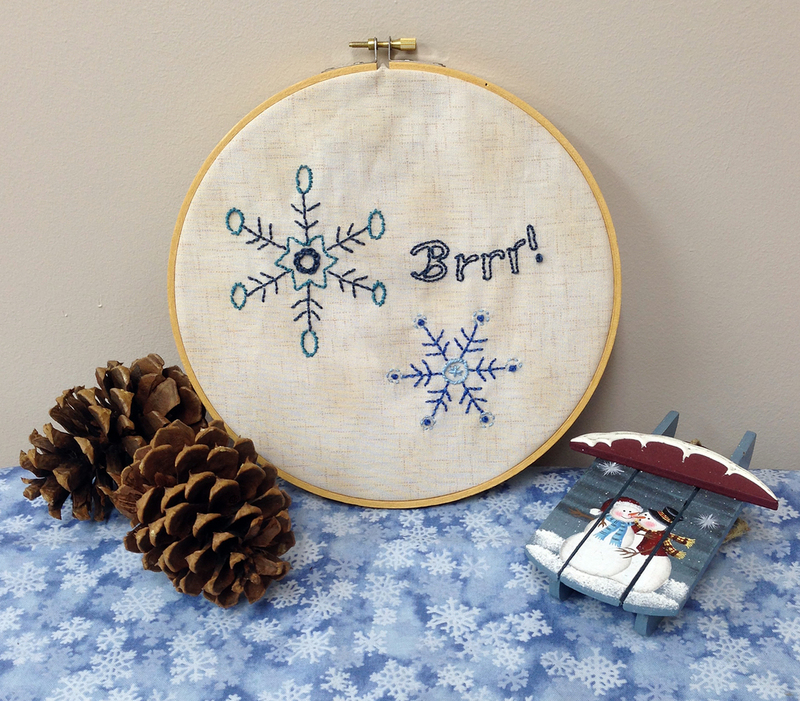 is perfect in an embroidery hoop as a wall decoration, but you could also choose to stuff it for a pillow. Add a backing to it and it's an ornament for your Christmas tree. Download Snowflake Brrr! now and have a new wintery decoration for yourself or a friend.